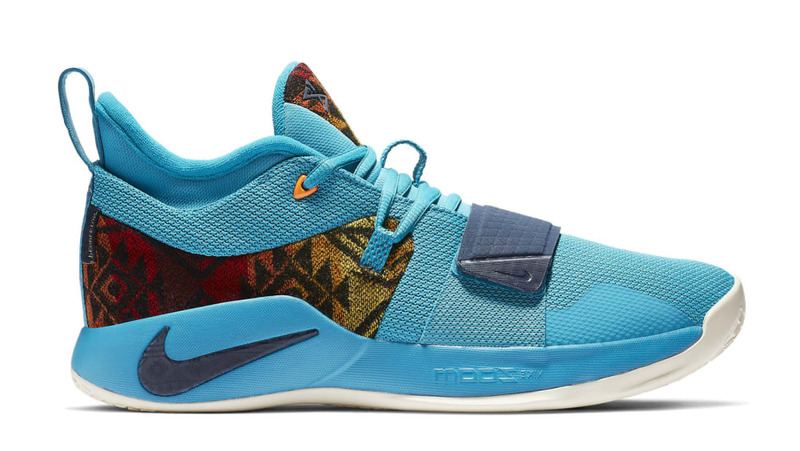 Nike Nike PG 2.5 "Pendleton"
The latest Nike PG 2.5 "Pendleton" will feature a bright light blue mesh with a colorful Pendleton pattern spotted by the heel and tongue. Release date is Dec. 14, 2018 at a retail price of $110. News Nike PG 2.5 "Pendleton"